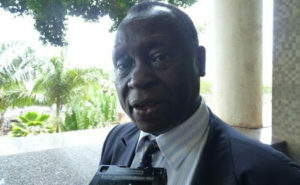 Mbale Municipality MP Jack Wamanga Wamai has confirmed the passing of his wife after she failed to recover from a fatal accident. According to the opposition legislator, Elizabeth Beatrice Wamanga died on Monday at Ottawa Hospital in Canada, from where she was admitted following a fatal accident. Mr Wamai said she suffered fatal brain injury in the accident, which occurred in Canada, where she has been working as a counsellor in the Ministry of Foreign affairs. The deceased studied political science from Makerere University and a master’s degree in Public Administration in Canada University. The couple is blessed with children, who live in Canada. The MP said preparations are underway to return the body for burial.